Tina Turner (born Anna Mae Bullock; November 26, 1939) is a multiple Grammy Award-winning American singer-songwriter, dancer, author, and actress, known as the "Queen of Rock & Roll." Her records have sold many millions of copies, and her exciting stage presence, powerful vocals, energetic dancing, and spectacular concerts have made her one of the most successful live performers in history. Beginning her career as a rhythm and blues singer with her future husband Ike Turner, Tina had a string of hits in the 1960s and early 1970s. Fading sales and her husband's drug problems led to a crisis in her troubled marriage, which ended abruptly in 1976, after which she struggled to rebuild her career. She staged one of the industry's most dramatic comebacks with the smash hit album Private Dancer in 1985 and went on to great success both as a recording artist and live performer. Her autobiography, I Tina, was later made into the feature film What's Love Got To Do With It? She also had several notable movie roles herself, as the "Acid Queen" in the rock opera Tommy and as "Aunty Entity," in Mad Max Beyond Thunderdome. 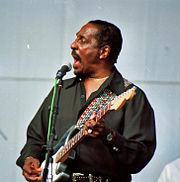 Besides rock, Turner has also performed blues, R&B, soul, dance and pop music. She is represented in the Grammy Hall of Fame by two of her recordings: "River Deep - Mountain High" and "Proud Mary." Her 1985 hit single, "What's Love Got To Do With It" gave her the distinction of being the oldest person up to that time to have a number one hit. She has accumulated many hit albums and singles worldwide, both as a solo act and with her late former husband. As a live performer, she has sold more concert tickets than any other solo performer in music history. Nutbush, the childhood home of Tina Turner. Tina Turner was born Anna Mae Bullock in Nutbush, Tennessee on November 26, 1939. She is the daughter of Zelma (née Currie), a factory worker, and Floyd Richard Bullock, a farm overseer, factory worker, and Baptist deacon. Her mother was half Cherokee, a quarter European, and a quarter African-American. Anna Mae and her sister, Allene, grew up with their grandmother after their parents split when Anna was ten. They moved from Nutbush to St. Louis to reunite with their mother in 1956 when Anna was 16. She attended Charles Sumner High School. In St. Louis, she met Mississippi-born rhythm and blues singer and recording artist Ike Turner and later asked him if she could sing for him. She became an occasional vocalist in Turner's shows at the age of 18. In 1960, when a singer for scheduled to record the song "A Fool In Love" did not appear, Ike Turner asked Anna to step in and record the vocals instead. Pitched above her normal range, "A Fool In Love" emphasized the power and raw emotion of her vocal qualities and became a huge R&B hit for the Ike Turner Revue, reaching number two on the R&B chart and crossing over to the top 30 as a pop song. After this surprise success, Ike gave Bullock the stage name Tina (after Sheena: Queen of the Jungle) and dubbed his band the "The Ike & Tina Turner Revue." In 1962, the two married in Tijuana, Mexico. Throughout the 1960s and into the 1970s, "Ike and Tina Turner" enjoyed considerable stardom. Tina developed a unique stage persona, thrilling audiences with her powerful vocals and electrifying dancing. The revue's backup singers, the "Ikettes," provided intricate dance routines that framed Tina's strutting, long-legged dance style perfectly, while Ike served as Tina's straight man, band-leader, guitarist, and occasional co-vocalist. Ike and Tina Turner recorded a string of hits in the 1960s, including, in addition to "A Fool In Love," "It's Gonna Work Out Fine," "I Idolize You," "Shake a Tail Feather," and the groundbreaking "River Deep, Mountain High." Ike played no active role in the latter hit, which was arranged and recorded by producer Phil Spector in his Wall of Sound style. By the end of the decade, the duo began releasing their interpretations of rock classics such as "Come Together," "Honky Tonk Woman," and their most successful record, Creedence Clearwater Revival's "Proud Mary," which reached number four in March, 1971 and remains Tina's signature song. The single won a Grammy for Best R&B Vocal Performance By A Duo or Group. During this time, Tina raised four sons—Ike Jr. and Michael (from Ike's previous relationship), Craig (born 1958, Tina's son from an earlier relationship), and Ronald (her son with Ike, born 1961). 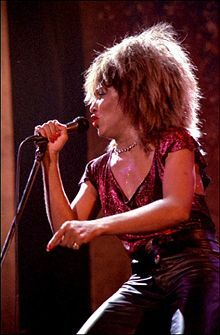 Tina Turner was born in Nutbush, Tennessee, a small rural community that she described in her 1973 hit song "Nutbush City Limits"
Although they remained a popular stage act much admired by rock icons like Mick Jagger, Janis Joplin, and Elvis Presley, Ike and Tina's success began to fade in the mid-1970s. Tina's personal life began to deteriorate, due in large part to Ike's drug use, which led to increasingly erratic and physically abusive behavior. Their last recording success was "Nutbush City Limits," a song penned by Tina about her home town, that reached number 22 in the US and number four in the UK in 1973. Having opened his own recording studio following the lucrative success of "Proud Mary," Ike produced Tina's first solo album, Tina Turns the Country On in 1974. However, it failed to make an impact on the charts, as did the follow-up, Acid Queen (1975), released to tie in with Tina's critically acclaimed big-screen debut in The Who's rock opera, Tommy. Years of abuse from Ike led to a failed suicide attempt. Finally, after a vicious beating before an appearance in Dallas in 1976, Tina abruptly left him, fleeing with nothing more than 36 cents and a gas-station credit card. She spent the next few months hiding from Ike, staying with various friends and resorting to food stamps. Tina credited her new-found Buddhist faith with giving her the courage eventually to strike out on her own. Still legally responsible to tour promoters for her canceled performances, she became a solo performer, supplementing her income with TV appearances on shows such as The Hollywood Squares, Donny and Marie, The Sonny & Cher Show, and The Brady Bunch Hour. The Turners' divorce was finalized in 1978 after 16 years of marriage. Retaining only her stage name, Tina assumed responsibility for the debts incurred by the canceled tour as well as a significant IRS lien. Her autobiography I, Tina detailing her life with Ike, was later made into the film What's Love Got to Do with It?. Rough (1978) was Tina's first album after her separation from Ike. It was a departure from the R&B sound of the Revue, signaling the direction in which she wished her musical career to progress. However, neither Rough nor Love Explosion (1979), an attempt to attract the disco market, sold well. With Roger Davies as her new manager, Turner began touring extensively around the world, especially in Europe where her popularity was still substantial. In December, 1983, her cover of Al Green's Let's Stay Together reached number six in the UK and became a hit across all of Europe. When Capitol Records, her new label, released the single in the US, it hit number 26 on the pop charts and was an even bigger success on the R&B and Dance charts, reaching the Top 5 on both. In May, Capitol released the single "What's Love Got To Do With It" in the US to promote Turner's upcoming album, Private Dancer. In June What's Love? was released in Europe where it reached number three in the UK and hit the Top 5 in many other countries. The album was released in the spring of 1984, selling well throughout the year. It reached number one on the US R&B chart, remaining there for five weeks. In Europe the album was also a major hit, selling millions of additional copies. By mid-August, "What's Love Got To Do With It" had reached number two in the US. When it hit number one in September, Tina Turner became the oldest person ever to have a number one hit (a record later broken by James Brown). Another single from the album, "Better Be Good To Me," was Top 10 hit in most European countries and peaked at number five on the US pop charts and number six on the R&B charts. The album remained in the Top 10 until May 1985. At the end of 1984, Rolling Stone Magazine's critics' poll named Tina Turner Artist of the Year, Female Vocalist of the Year, and R&B Artist of the Year, also awarding her top honors for the year's best album and best single. Similar accolades came from Billboard Magazine and various other industry institutions. In February of 1975, Tina started her highly successful Private Dancer Tour, which took her to the US, Europe, Australia, and Japan with over 170 dates, box office records. At the 27th annual Grammy Awards in the same month, she won four Grammys, receiving a standing ovation for her performance of "What's Love?" In March, "Private Dancer," the single, was released in the US where it reached number seven on the pop charts and number three on R&B, fueling even more album sales. The Private Dancer album remains one of the best-selling albums of all time with sales of over 10 million copies, and by some estimates many more. After the success of Private Dancer, Turner accepted the role of "Aunty Entity," the ruler of Bartertown, in the film Mad Max Beyond Thunderdome. She received the NAACP Image Award for Outstanding Actress for her role. In July, she performed at Live Aid, alongside Mick Jagger, long a great fan of hers. In August, the single "We Don't Need Another Hero" became yet another international hit for Turner, reaching number two in America and number three in England. The song received a Grammy nomination for Best Female Pop Vocal and a Golden Globe nomination for Best Original Song. "It's Only Love," a duet with Bryan Adams released in November, received a Grammy nomination for Best Rock Performance by a Duo or Group with Vocal. Turner's next album, Break Every Rule (1986) was another major success, selling many millions of copies. In the accompanying tour she performed to huge crowds, one estimated at a record-setting 184,000. In the same year, she published her autobiography, I, Tina and received a star on the Hollywood Walk of Fame. In April, 1988 she released a live double album, Tina Live in Europe, followed in 1989 by her seventh studio album, Foreign Affair, which included the international hit, "The Best." Her 1990 tour promoting the album featured 121 shows in Europe, beating attendance records set by The Rolling Stones' recent tours. Turner's handprints at the Rotterdam Walk of Fame. In 1991, Ike and Tina Turner were inducted into the Rock & Roll Hall of Fame, and Tina released a compilation album, Simply the Best. In 1993, her autobiography was turned into a box-office film, What's Love Got to Do with It?, painting a picture of Turner's troubled marriage and her heroic emergence from it through her Buddhist faith. The film's leading actors, Angela Bassett and Laurence Fishburne, received Academy Award nominations for their roles. The soundtrack went platinum in America and yielded Turner's final Top 10 US single, "I Don't Wanna Fight," which peaked at number nine. Later that year, she went on a sold-out U.S. tour, her first in seven years, to promote the soundtrack of the movie. She then moved to Switzerland and took a year off from the road at the end of the tour. In 1995, Turner returned to recording with the title track for the James Bond film, Goldeneye. In 1996, her Wildest Dreams album was released, selling well on the strength success of singles such as "Whatever You Want," "Something Beautiful Remains," and the duet with Barry White, "In Your Wildest Dreams." In May of 1996, Turner embarked on another successful, year-long world tour. In November of 1999, she released the dance single "When the Heartache Is Over." Its parent album, "Twenty Four Seven," was a success, although not a million-seller. Later that year, with Turner about to turn 60 years old, the Twenty Four Seven Tour became the highest-grossing tour of 2000 with over $100 million in ticket sales. Guinness World Records later announced that Turner had sold more concert tickets than any other solo concert performer in music history. 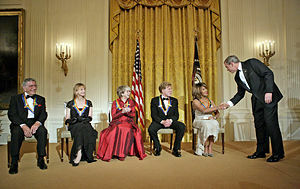 U.S. President George W. Bush congratulates Tina Turner during a reception for the Kennedy Center Honors in the East Room of the White House on December 4, 2005. From left, the honorees are singer Tony Bennett, dancer Suzanne Farrell, actress Julie Harris, and actor Robert Redford. Over the next few years, Turner made only occasional appearances and collaborations with other musicians on recording projects. The 2004 album All The Best was a comprehensive collection including two discs and 33 tracks. It reached the Top 10 in several European countries. In early 2005, All The Best was released in the US, debuting at number two on the Billboard album charts and eventually selling over a million copies. At the end of the year, Turner was recognized by the Kennedy Center Honors at the John F. Kennedy Center for the Performing Arts in Washington, D.C.. In May 2007, Tina returned to the stage to headline a benefit concert for the Cauldwell Children's Charity at London's Natural History Museum, her first full show in seven years. On February 10, 2008, at age 68, she performed with Beyoncé at the 50th Annual Grammy Awards. In September of the same year, she released a new 18-track CD, Tina! : Her Greatest Hits, including several live recordings and two new tracks. In October, she began yet another world tour, beginning in Kansas City, Missouri, where she performed in front of a sold-out crowd. ↑ Tina Turner- Vocal Range/ Profile DivaDevotee.com. Retrieved March 23, 2012. This page was last modified on 9 December 2015, at 17:20.